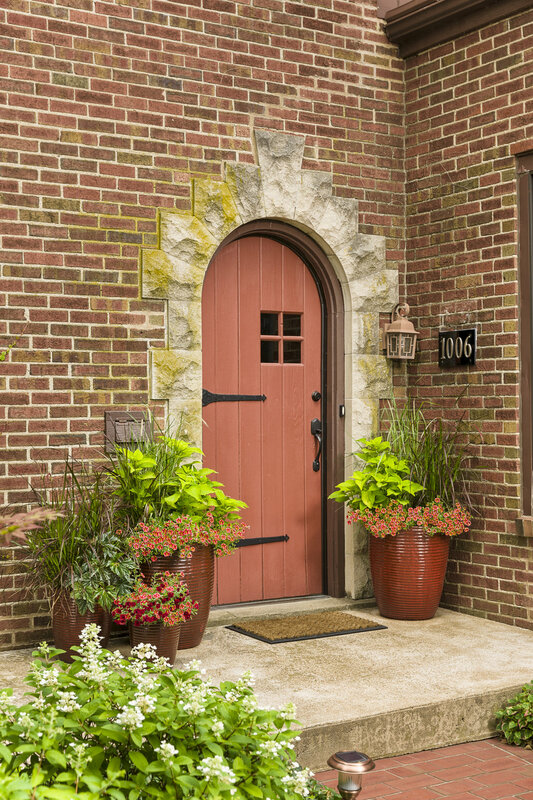 Find plants you love and create idea boards for all your projects. To create an idea board, sign in or create an account. Sign Up! Be inspired with our Gardener's Idea Book and Winners Circle emails. Your browser does not support the audio player. Just call me OLD FAITHFUL. In almost all areas Rubrum will be an annual grass. Once the grass turns brown in the fall you can cut it back to the ground whenever you would like. 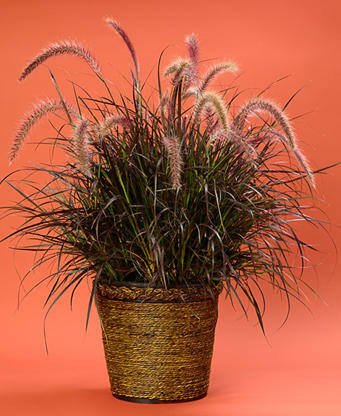 Rubrum is a warm-season grass. 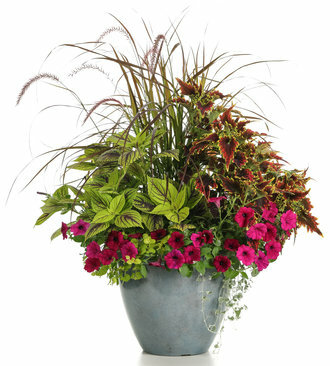 Where temperatures get colder than 20 degrees F, the plants should be treated as annuals. Once the grass turns brown it can either be removed immediately or removed in the spring. It should not be expected to live through the winter and begin growing again in the spring. In areas where winter temperatures remain above 20 degrees it should be considered a perennial and the following information should be useful. 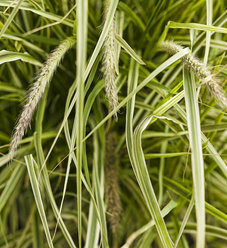 Warm-season grasses won't start growing until mid to late spring or even early summer. 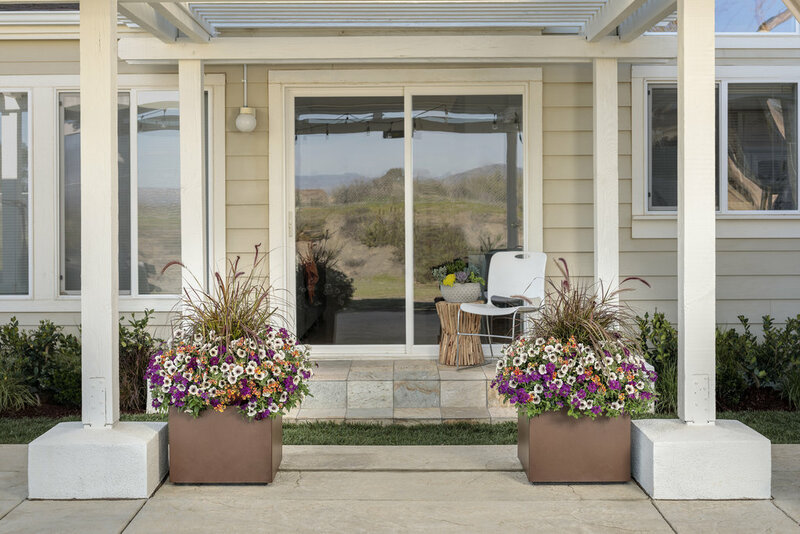 Their major growth and flowering happens when the weather is hot. They will usually turn shades of brown for the winter. 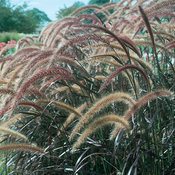 Cut back warm season grasses in fall or by mid to late spring. Warm season grasses turn shades of brown as the weather turns colder. 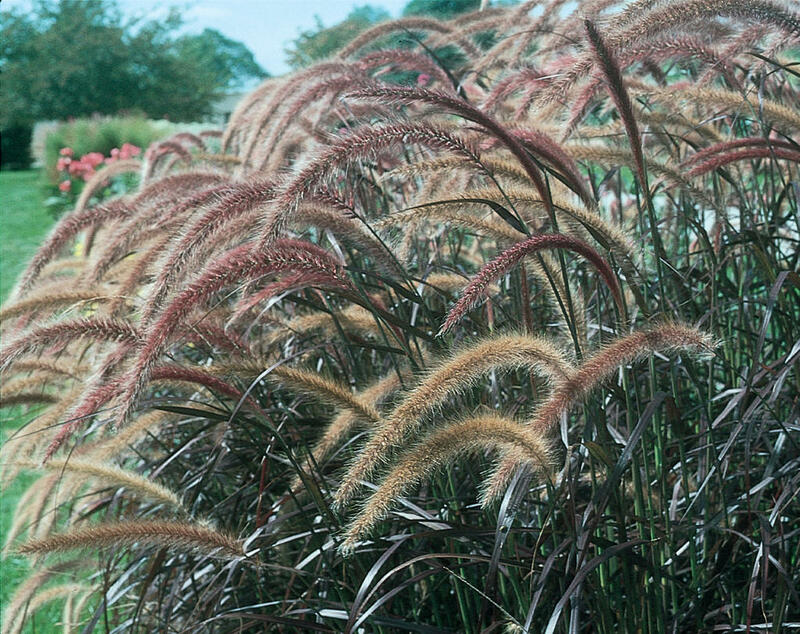 Once your warm season grasses turn brown you can trim them back at almost any time. 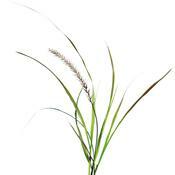 If you like to tidy your garden in fall or if you live in an area where fire can be problematic trim warm season grasses so they are just a few inches tall. If you live in an area where fire generally isn't a problem you can leave the dried grasses and seed heads in your garden for winter interest. Snow or ice encrusted ornamental grasses can be quite beautiful. 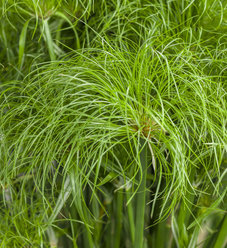 If you leave the trimming until spring try to make sure to cut them back to the ground (you can leave a couple of inches) by late spring, before new growth begins. 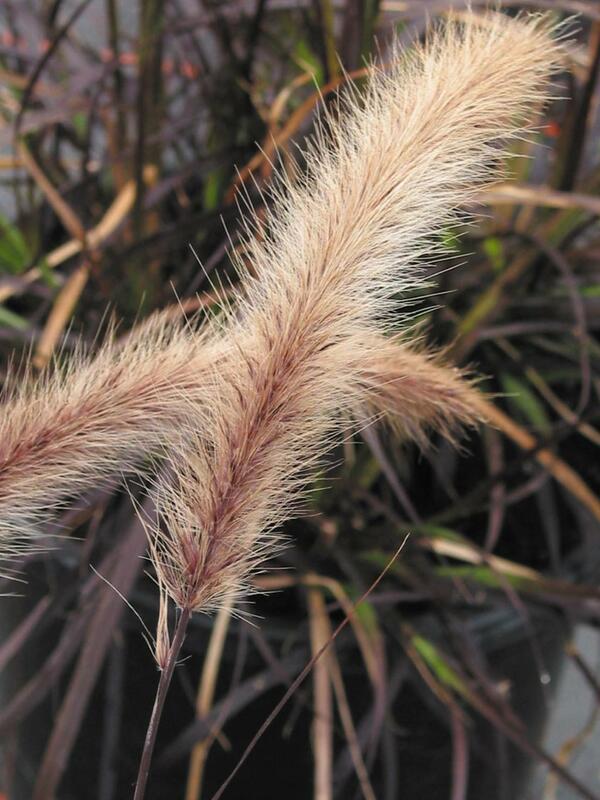 Not all ornamental grasses look good through the winter, trim back those that don't look good in the fall. 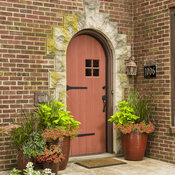 Divide warm season grasses anytime spring through mid-summer. 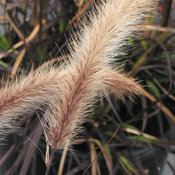 All ornamental grasses should be divided when they are actively growing but not while they are flowering. If the plants are dormant when they are transplanted they won't establish a good root system. 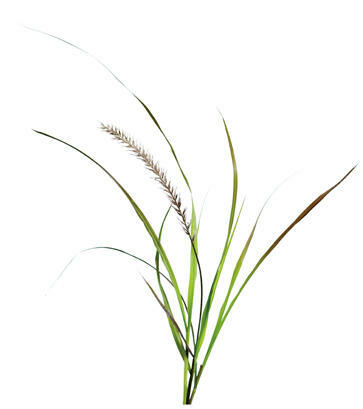 Warm season grasses generally start growing in late spring or early summer and have their active growth period during the heat of the summer. 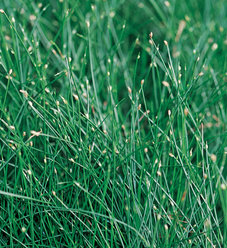 Warm season grasses will tend to bloom in mid to late summer. Upright arching. 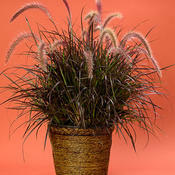 Waves of gracefully nodding soft purple plumes arch up and out from burgundy-tinted foliage in true fountain grass form. 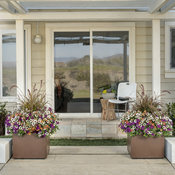 This variety is especially dramatic in clusters, mass plantings, or along slopes. 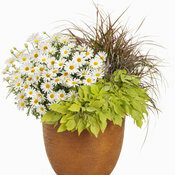 A favorite for fresh or dried arrangements. Pest and disease-free. 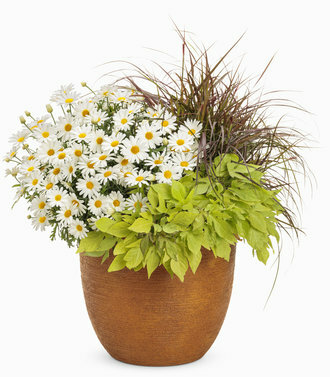 "A Real Simple magazine - Top 10 goofproof Plant"
I love this plant. 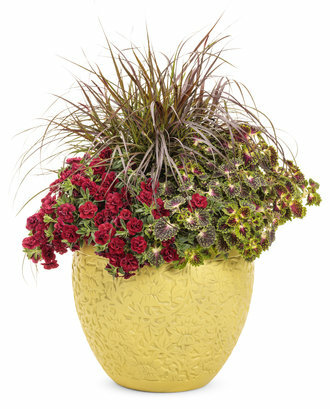 I actually like to use it in pots with mums and other things during the fall. Graceful wisps look beautiful. Above Average Superior performance, among my favorites, would recommend to others. My absolute favourite plant in June/July. 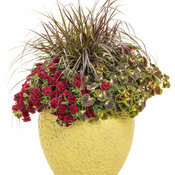 Likes a daily drink and a very deep pot and rewards with a display of the most beautiful plumage, so soft and graceful. It's a real eye-catcher. I keep it in the shade as our temperatures in Cyprus, in the summer,can easily reach up to 40 degrees. It seems to enjoy its spot behind the shed in the shade. I also give the occasional feed. Once the plumage has started to drop, I cut it down to the base ready for next year. It seems to be a hardy plant as it suffers very cold nights in the winter but, again, the shed will serve to act as a protector from cold wind and sea breezes. Outstanding My favorite plant, I recommend to others all the time and explain the reasons why I like it so much. I use this in pots with potato vine every Summer. The tag with the plant (purchased at Home Depot) states it is a perennial with a hardiness of zero degrees F. However, from what I've read on this website, this plant's hardiness is 20 degrees F, and that it should expected to be an annual if I don't live in zones 8-10. I live in zone 7b, and this plant was sold to me as a perennial. I am extremely disappointed. Unsatisfied Did not survive, inferior performance or did not bloom well - won't grow again. Beautiful grass in the ground. Great color throughout the season. Can get too tall and leggy in a container. I have also tried this plant in Florida and it would not grow. I think it is better suited to dry climates. Here in AZ they look beautiful around my pool.